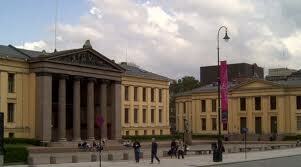 A PhD Research Fellow is available at the Department of Chemistry, University of Oslo ( Official Website. ), within the Functional Inorganic Materials research group under the supervision of Professor Serena Margadonna. The fellowship is for a period of up to 4 years with 25 % compulsory work and is available from June 1, 2011. Starting date no later than October 1, 2011. The position is affiliated with the top-tier effort NAFUMA in the research group of Functional Inorganic Materials. NAFUMA is an integrated part of the Centre for Materials Science and Nanotechnology, and of the inGAP centre for research based innovation within catalysis and natural gas conversion. NAFUMA takes part in the national FME center on solar cell technology, and coordinates and holds many grants from the European Commission and the Research Council of Norway. The research environment is highly international, with adjunct professors, researchers, post docs and students of some 15 nationalities. The research will involve the synthesis and characterization of valence precise and hole-doped ternary transition metal fluorides containing orbitally active transition metals. The goals are: (i) to fill the gap of fundamental knowledge that we currently have in non-oxide strongly correlated electron systems (ii) to develop new methodologies for the synthesis of hole-doped transition metal fluoride phases as potential analogues of manganates and cuprates and (iii) to use a rich variety of techniques to elucidate their structural, magnetic and electronic phase diagrams. Rationalizing the electronic and magnetic behaviour and determining the performance limits of these families of materials will greatly enhance our current understanding of complex systems and the underlying mechanisms behind the occurrence of exploitable physical phenomena such as: metal-insulator transitions, electronic/magnetic phase segregation, colossal magnetoresistance and multiferroism. The project will provide a broad chemical training and will involve synthetic work, the application of modern structural and magnetic characterisation techniques and the use of advanced computational methods. The student will have the opportunity to visit and work in international laboratories and synchrotron X-ray/neutron sources worldwide. Applicants should have a MSc. or equivalent degree in Chemistry, Crystallography, Materials Science or a related field. Candidates with strong background in inorganic materials and experience in solid state synthesis will be preferred. In accordance with the University of Oslo’s equal opportunity policy, we invite applications from all individuals regardless of gender or ethnicity. Demikianlah informasi mengenai University of Oslo PhD Research Fellow in Functional Inorganic Material, Norway semoga berguna bagi anda.